Enrique M. Juarez was born and raised in Los Angeles, CA. He obtained a bachelor's degree in International relations from the University of Southern California and subsequently earned a master's degree in public administration from California State University, Los Angeles. He earned his law degree from Southwestern Law School in Los Angeles. Mr. Juarez has always had an interest in advocating on behalf of individuals. Prior to law school, he worked in the non-profit sector advocating for equal access to qualify health care services for children and families. 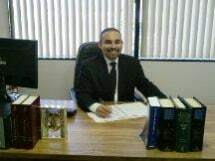 As an attorney Mr. Juarez has worked a variety of legal matters before joining the Law Offices of Judith S. Leland. He is fluent in Spanish.